Quick and easy bakes by the undisputed Queen of Cakes, Mary Berry. 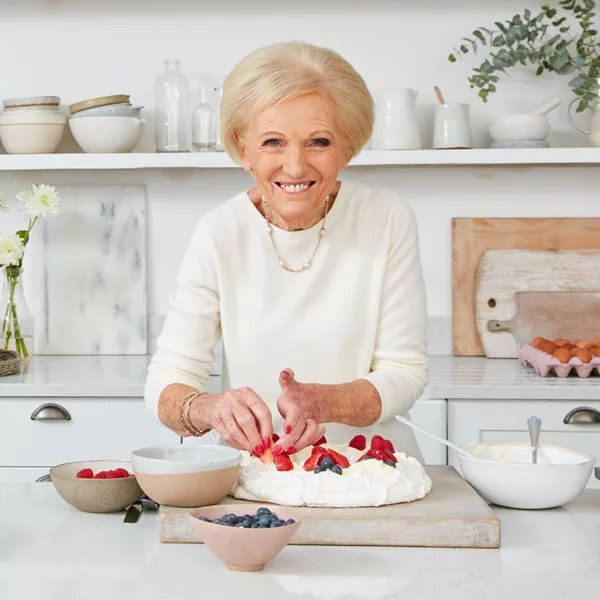 Fast Cakes is an unmissable, definitive new baking book from Mary Berry. Mary has incorporated her 'all-in-one' method of preparation into as many recipes as possible, so her recipes are faster to make than ever. Nearly 100 of the bakes take only 10 minutes to make and Mary has included small bake variations for fruit cakes, which traditionally take a long time in the oven, so you can make one even when you are pushed for time. There are scones, buns and biscuits that you can whip up for tea, traybakes and fruit loaves perfect for a school or village fete and of course foolproof cakes for every occasion from everyday recipes such as a Honey and Almond Cake to Mary's First-Rate Chocolate Cake. Not forgetting recipes you can make with your kids from Happy Face Biscuits to Traffic Lights and Jammy Buns. If you miss Mary's wisdom and inspiration in The Great British Bake Off, or want a brand-new companion to Mary Berry's Baking Bible, this is the cookbook for you, with over 150 easy recipes to make with confidence. Note: Fast Cakes was first published by Piatkus in 1981 and was an instant hit with classic recipes that could be made in minutes. A bestseller of its time, many families are still baking with it now, but 37 years on, Mary Berry has completely revised and updated this much-loved book. Collected together with recipes from Mary's follow-up book, More Fast Cakes, published in 1988, this is a beautifully photographed hardback edition for a new generation of bakers.